Directors of online food allergy and intolerance resource http://www.TheAllergyMenu.com claim that the high profile NABIM Wheat Allergy & Intolerance Report circulating the media right now is nothing but a marketing ploy to encourage people to eat bread. 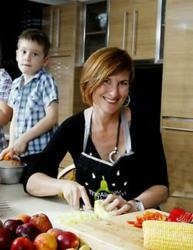 Pauline O'Sullivan developed theallergymenu.com after struggling with her children's multiple food intolerances. "The report has attracted a lot of media attention, and is basically saying that people who think that they have food intolerances are imagining it. We see and hear from these people every day, and we know that this issue is absolutely real. Headlines such as "20% of adults think they suffer from a food allergy or food intolerance, but evidence suggests that the real prevalence is less than 2%" have been popping up in the media since the February 2012 release of the NABIM Wheat Allergy & Intolerance Report from The University of Portsmouth; a report that claims to be addressing the myths surrounding food intolerances and food allergies in today's society. But look at little closer and you will find that the study was commissioned by The Flour Advisory Board, an organization with the sole objective of promoting the consumption of bread. "The findings that are being splashed around are meaningless, misleading and damaging to the millions of people already struggling with the epidemic of food related health conditions," says Michelle Kazukaitis of The Allergy Menu. 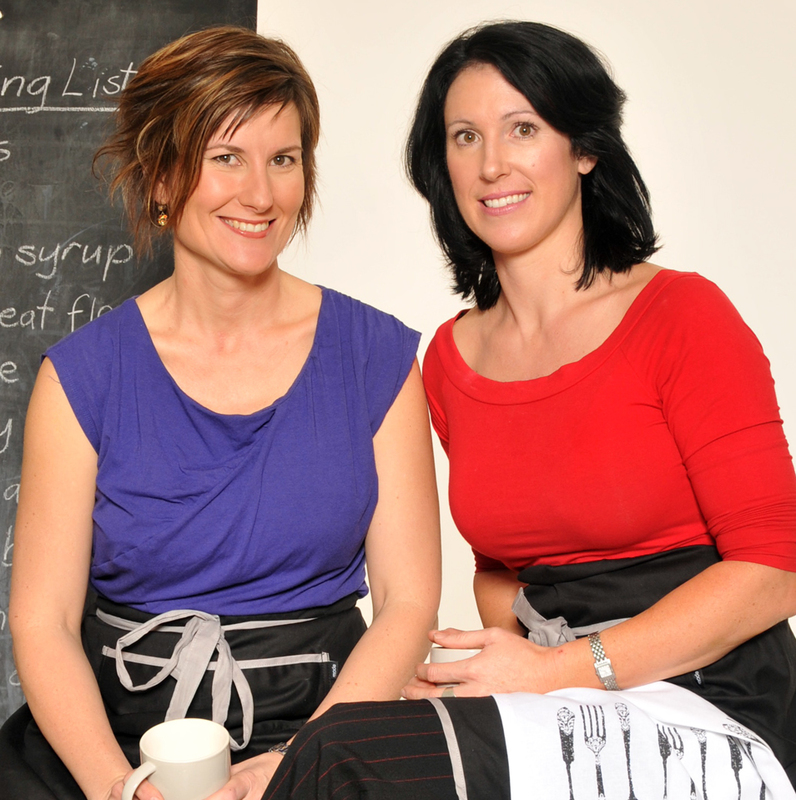 To directors of TheAllergyMenu.com, Pauline O'Sullivan and Michelle Kazukaitis, it is important to keep up to date with research and development in the world of food allergies and intolerances. "The report has attracted a lot of media attention and is basically saying that people who think that they have food intolerances are imagining it. We see and hear from these people every day, and we know that this issue is absolutely real. Which is why we wanted to delve a little deeper into these findings," says Michelle. "It turns out that the NABIM Wheat Allergy & Intolerance Report was commissioned by the Flour Advisory Bureau, which raised alarm bells instantly. How can the Flour Advisory Bureau be unbiased in reporting about who should eat wheat/ grain/gluten/flour?" adds Pauline O'Sullivan. According to their own website, the objective of the Flour Advisory Bureau is to encourage people to eat more bread as part of a healthy, balanced diet and communicate bread's nutritional merits through a range of activities. Basically to show the positive contribution bread makes to the UK diet. British Charity Organisation, Allergy UK, reports that as many as 25 million people - that's almost half the UK population - believe that they suffer from a food intolerance. The main intolerances are gluten, wheat and dairy products. "This clearly does not sit well with the objectives of the Flour Advisory Bureau. Hence the report," says Michelle. "However, potential conflict of interest/bias aside, looking at the 'facts' resulting from the report, it is not difficult to see how easy it is to manipulate figures to suit your agenda - especially when the study comes out of a University and has doctors attached to it. It is a marketing ploy, and extremely convincing evidence to those who skim read the report and eat up the headlines." One such headline comes from a key researcher involved in the report, Dr Heather McKenzie. Dr McKenzie says that the results of the report show “there is a clear discrepancy between the number of people who report that they have food allergy or intolerance and the numbers whose food allergy/intolerance can be confirmed by a medical diagnosis." Right. Could this be because a in the majority of cases a medical diagnosis does not exist? The NABIM Wheat Allergy and Intolerance Report goes on to say, "At present there are no validated tests for diagnosing food intolerance." The best the report could offer was to avoid eating the suspected food for 4-6 weeks and see if you feel better. Not exactly rocket science and certainly not a medical diagnosis. "So, 25 million people in the UK alone believe they have a food allergy or intolerance, but tests do not exist to support a diagnosis. Does this mean that they do not have a food allergy or intolerance and that 24,500,000 of these people are deluded? This is what the NABIM Report is insinuating," says Pauline. Validated Tests required for medical diagnosis only exist for certain types of food related health conditions, such as anaphylactic food allergies and celiac disease and are yet to be developed for the majority of food intolerances. Therefore only 2% are capable at present of being diagnosed. This does not mean that the others do not have a real food intolerance - it only means that the medical profession does not yet possess the validated tests required to diagnose it. According to Pauline and Michelle "This skewed information is a slap in the face to those living with food intolerances who are already struggling to live with a condition that is often dismissed by the public and the medical fraternity as trendy, modern day hypochondria." Telegraph Journalist Max Pemberton stated in his column on March 23 2012 that "some people use food intolerance as a socially acceptable way to say they just don’t like something." Pauline explains, "Aside from the physical symptoms caused by consuming the food that their bodies are intolerant to (such as eczema, skin rashes, bloating, flatulence, constipation, etc), those living with food intolerances find that their quality of life is diminished and they feel socially isolated. This condition frequently involves multiple foods, impacting on the many social occasions centered on food that we enjoy and is often disregarded or dismissed by others due to the lack of a 'proper diagnosis.'" Pauline has experienced this first hand. "When a medical problem relies upon a patient’s subjective reporting of symptoms and cannot be accurately measured by standard medical tests, patients frequently complain that they are left without adequate support to identify the cause of their pain or to treat or manage their symptoms. This tends to cause sufferers to attempt to self diagnose and manage their condition alone. Perhaps instead of alienating the afflicted more, we could put some time, money and attention into developing medically accepted tests and protocols to help the enormous percentage of the western world that are living with food related health concerns." Food Intolerances - a hidden epidemic in modern families, is a frustrating journey of trial and error for sufferers.Symptoms of Food Intolerance include eczema, skin rashes, bloating, flatulence & constipation. Pauline O'Sullivan developed theallergymenu.com after struggling with her children's multiple food intolerances.The frustration Pauline experienced inspired her to create an online recipe database with a search function that enables users to customise their recipe search based on their unique combination of food allergies & intolerances. 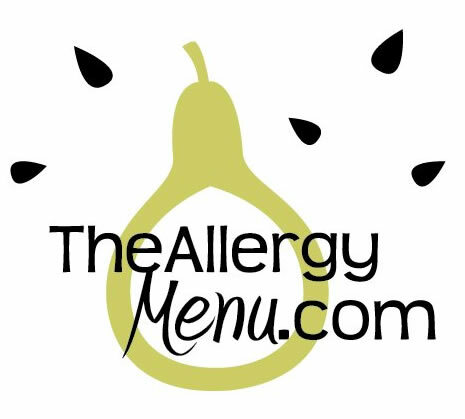 The Allergy Menu is the first online resource to sort recipes to remove not just the top 8 allergens, but also include salicylates, glutamates, oxalates, fructose, polyols & fructans.www.theallergymenu.com also caters for specific diets such as GAPS, GF/CF, Fructose Malabsorption, Irritable Bowel Syndrome, Raw & Paleo. The Allergy Menu www.theallergymenu.com The Ultimate Resource for Food Allergies & Food IntolerancesThe Allergy Menu www.theallergymenu.com The Ultimate Resource for Food Allergies & Food Intolerances Pauline O'Sullivan and Michelle Kazukaitis of The Allergy Menu (theallergymenu.com)Pauline and Michelle have spent the last two years researching and creating an online resource for those living with multiple food allergies and intolerances. Based on protocols from The Royal Prince Alfred Hospital and the research of Dr. Sue Shepherd, www.theallergymenu.com is designed to bring variety back to the menu for those on elimination diets.